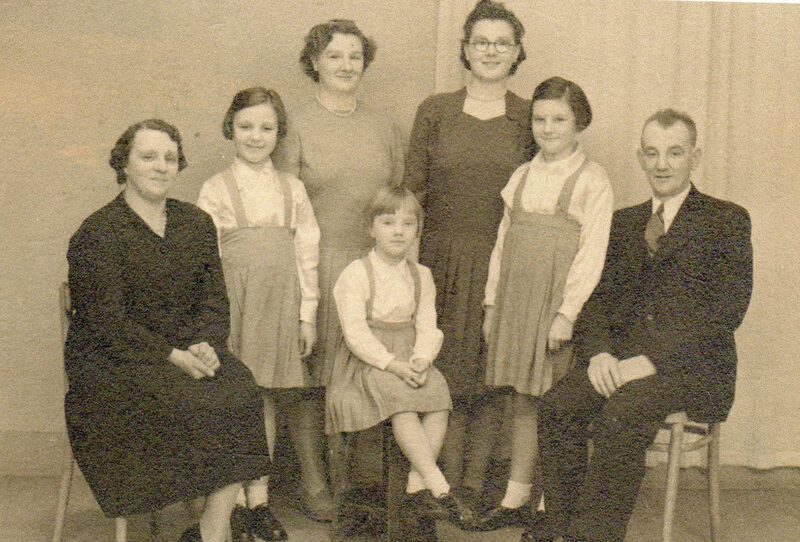 Margaret, Elizabeth, May, Sandra (front) David and Catherine Ramsay, c. 1941-42. Photo: Ramsay family archive. 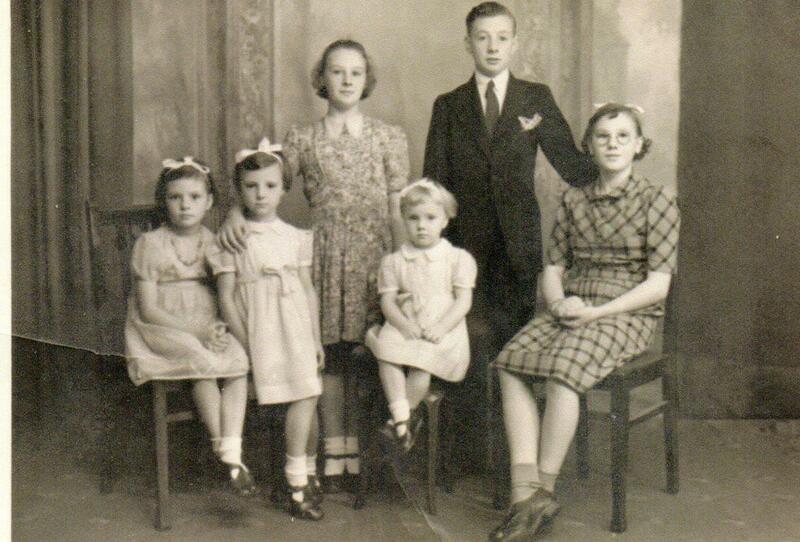 I love this photo of my mum (second from left) and her siblings. While I was trying to decipher the cause of death recorded on the copy of Helen’s Ramsay’s death record, I found myself looking at the other entries on the page to see if they provided any clues to interpreting the handwriting. What I discovered was really sad, and quite shocking. There were three entries on the page and all for children who died of ‘Scarlatina’ – or scarlet fever. Christian Robertson aged 1 ¾; died 23 April 1857 at Abernethy. Daughter of David Robertson, salmon fisher and Margaret Robertson (nee Fotheringham). James Anderson aged 10 ½ years; died 30 April 1857 at Pitcurran. Son of James Anderson, farm servant and Mary Roger. Helen Ramsay aged 5; died 3 May 1857 at Glenfoot. Daughter of David Ramsay, corn merchant, and Helen Ramsay (nee Low). Record of the death of Helen Ramsay, aged 5. 3 May 1857. Source: Scotland’s People. Abernethy, Glenfoot and Pitcurran are all within a few miles of each other and it seemed that there must have been an outbreak of the disease at the time. Naively, I assumed this would be newsworthy (as outbreaks of disease are now), and searched the British Newspaper Archive for more information. Nothing came up, so I rather lazily went back to Google and typed ‘scarlet fever perthshire 1857’. The first hit was a thread in the RootsChat forum. It didn’t initially look interesting, but when I scrolled down I found Christian Robertson mentioned. It seems that baby Christian was not the only child in her family to succumb. Her five year old brother Hugh and sister Mary, aged 3, also died of Scarlet Fever in 1857. I was already feeling sad to think of my ancestors’ mourning a child and wondering whether my 2x great grandfather John Ramsay – who would have been just three at the time his older sister died – had been ill and recovered or had managed to avoid the infection altogether. 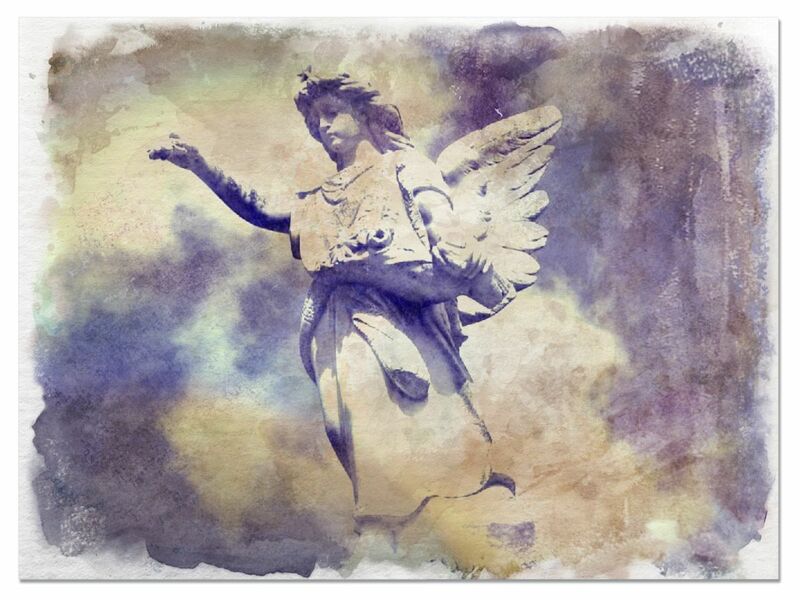 Realising that at least four other children had died around the same time – three from one family – has really brought home to me just how precarious life can be. Having exhausted the current research options for Helen Low, I thought I’d try to learn more about her husband, David Skinner Ramsay. David was my 3x great grandfather, and also the namesake of my maternal grandfather of whom I have incredibly fond childhood memories. 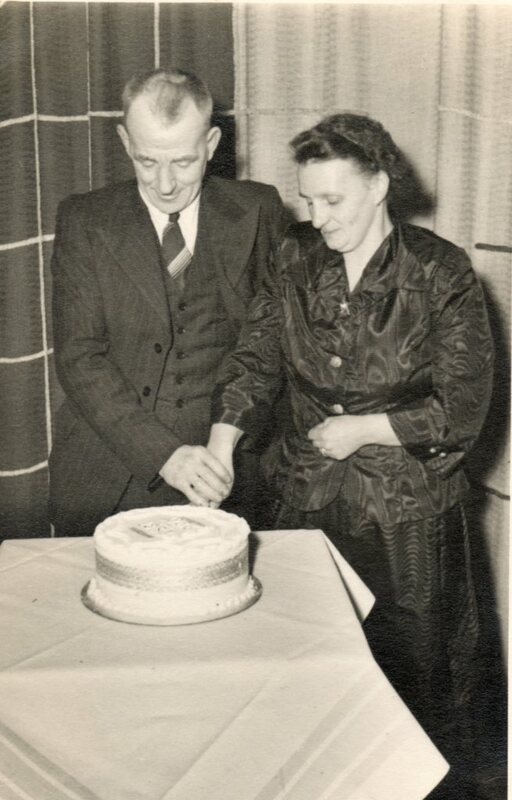 My maternal grandparents David Skinner Ramsay and Margaret Simpson Bisset Cruden celebrating their 25th wedding anniversary. Photo: Ramsay-Leslie family archive. As with Helen, I’ve begun at the end of David Ramsay’s life – on the basis that the more recent information is, the more comprehensive and often reliable it tends to be. From the census records I found for Helen Low (When things aren’t quite what they seem … the pauper daughter of a colonial administrator?) , I know that David Ramsay was born in Dysart, Fife. On his marriage to Helen in 1836 he was recorded as living in Collessie Parish –also in Fife. The 1841 census recorded his occupation as agricultural labourer, so it is not unreasonable to assume that he left Dysart in search of work. Collessie is about 15 miles north of Dysart. It is also only a few miles from Kettle – where it seems David’s mother Jean Skinner was born (this will be the subject of a separate post). By 1841, David Ramsay and Helen Low had three children and were living in Strathmiglo. The transcription of that census puts the address as Pityomie, but looking at the original document and a parochial directory transcribed by the Fife Family History Society, I’m inclined to think that actual address is Pitgornie or Pitgorno – especially as the parochial directory lists a farmer called James Christie Esq as living at Pittgorno, and an entry in the Farm Horse Tax Rolls for 1797-98 for the Parish of Strathmiglo shows James Christie of Pitgornie paying 6s/9d in tax for three liable horses. Horse Tax Return, 1797-98, Parish of Strathmiglo. This shows James Christie esq. at Pitgornie. Is this the farm where David Ramsay was living and working in 1841? Source: Scotland’s Places. Between 1841 and 1851, it seems that David Ramsey’s fortunes took a major turn for the better. The 1851 census recorded him as being a Master Miller, living at Fargs Mill, Abernethy, Perth. Fargs Mill (which has been called Ayton Farm since the late nineteenth century) appears on Ordnance Survey maps from the late eighteenth century. 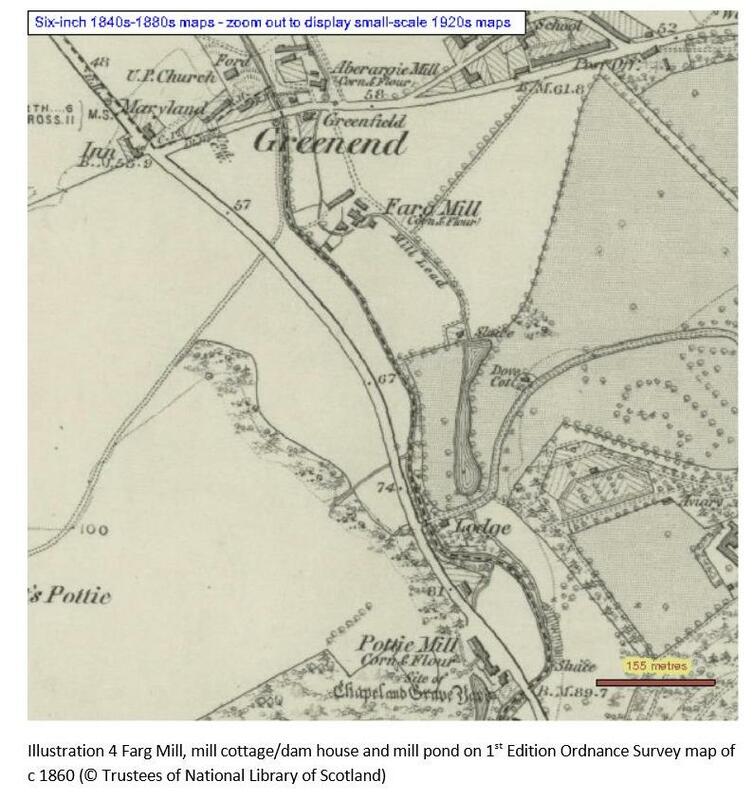 An archaeological survey commissioned in 2011 as a condition of developing the land, says that the mill was one of several on the river Farg, but does not make clear what was being milled – suggesting that there were flour and corn mills on the river, as well as a sawmill. Map showing Fargs Mill in 1860. Source: Derek Hall, Archaeologist, 2011. The census return also shows that David’s move from agricultural labourer to Master Miller brought with in an increase in wealth – the household in 1851 included two servants, one male (who may have worked in the mill) and one female, who may have been a housemaid. Between the 1841 and 1851 censuses, David and Helen’s family had also grown by two more children – daughter Jean Skinner Ramsay (born 1843) and son William Ramsay (born 1846). Both children are recorded as having been born in Strathmiglo – suggesting that in 1851, David Ramsay had been working at Fargs mill for no more than 3-4 years. In January 1852, David and Helen had another child – Helen, whose place of birth was recorded as Abernethy. Helen died on 1 May, 1857, aged five. Her cause of death was shown as scarlatina, or Scarlet Fever. The death record shows that David was no longer working as a Miller but as a Corn Merchant, and the family were living in Glenfoot – – a settlement to the east of Fargs Mill, towards Abernethy. Cessio bonorum (Latin for a surrender of goods), in Roman law, is a voluntary surrender of goods by a debtor to his creditors. It did not amount to a discharge unless the property ceded was sufficient for the purpose, but it secured the debtor from personal arrest. The creditors sold the goods as partial restoration of their claims. The procedure of Cessio Bonorum avoided infamy, and the debtor, though his after-acquired property might be proceeded against, could not be deprived of the bare necessaries of life. The main features of the Roman law of Cessio Bonorum were adopted in Scots law, and also in the French legal system. 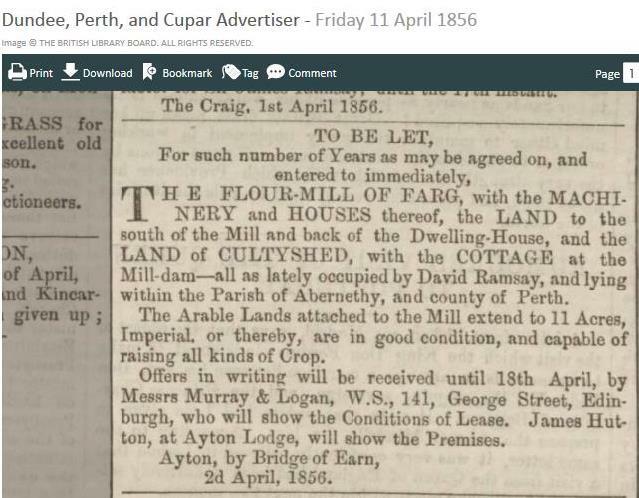 A month later a notice appeared in the Dundee Perth and Cupar Advertiser letting Fargs Mill, cottage and surrounding land. Although the Ramsay family did not own Fargs Mill, they lost their home with David’s bankruptcy. Advertisement from Dundee, Perth and Cupar Advertiser, 11 April 1856. Source: British Newspaper Archive. Image © THE BRITISH LIBRARY BOARD. ALL RIGHTS RESERVED. The 1861 census shows David’s occupation as Grain Agent. The family had grown with the birth of two more children; John (my 2x great grandfather), born in 1854 and Peter, born in 1860. 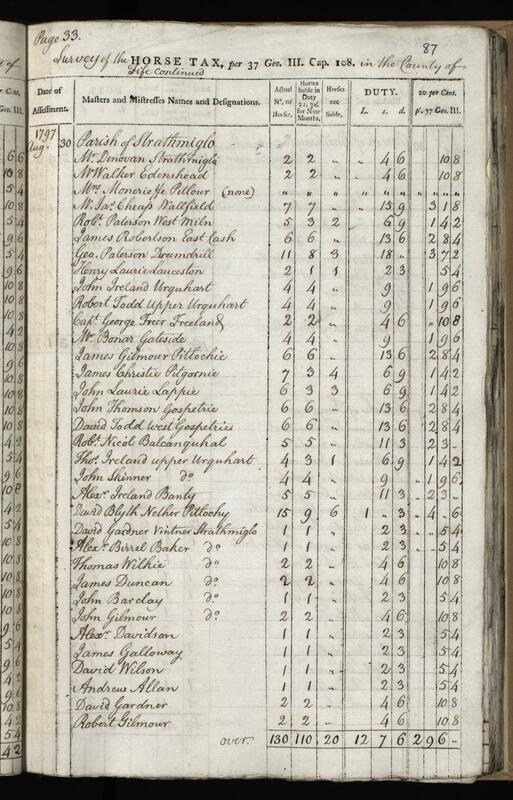 This census return shows no servants living with the family, and also shows that the three oldest sons, James, David and William had left the family home. However, as they would have been aged 24, 22 and 14 respectively, this is not surprising. 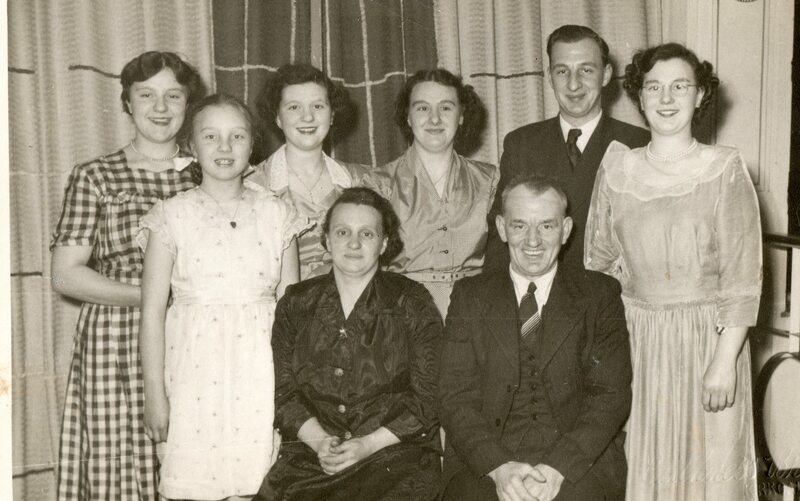 The family’s two remaining daughters – 20 year old Elizabeth and 17 year old Jean (shown as Jane) were living with their parents and working as agricultural labourers. 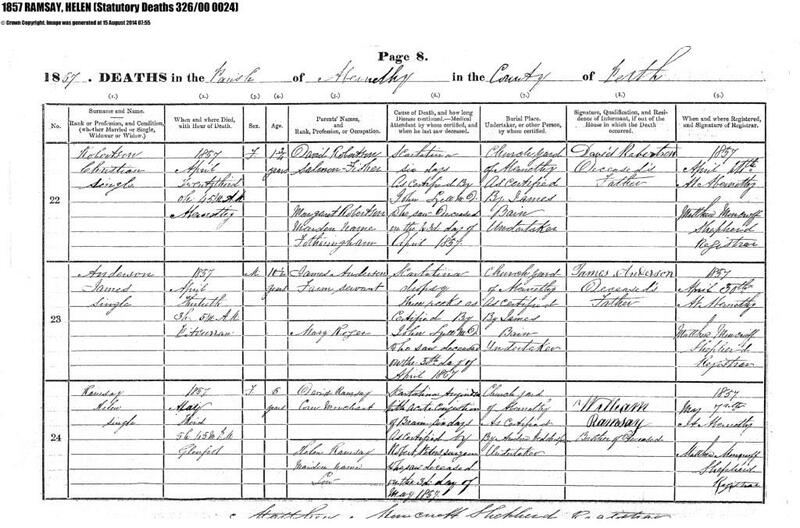 The 1871 census shows the Ramsay family had moved back to David’s birthplace – Dysart in Fife. The census return for that year shows the family living at Kirky Road, Dysart; the household consisting of David aged 53 – whose occupation was given as carter; Helen; daughter Elizabeth (30) unmarried and an outdoor worker; son Peter (10) a scholar; and James Ramsay, aged 5, a grandson born in Dysart. James was the illegitimate son of Elizabeth. He was born on 5 June 1865 in Dysart – which suggests that the family had moved from Glenfoot back to Dysart in the early-mid 1860s. David Skinner Ramsay died of typhoid fever on 12 December 1871, aged 54. I’ve learned a surprising amount about his life; been able to see photos and maps of places he and his family once lived and seen his name in print – albeit in the somewhat tragic circumstances of his bankruptcy. As always, records can provide an indication of “what” – but not “how” or “why”. How did David go from farm labourer to Maser Miller? How did he come to be bankrupt? Why did the family move to Dysart? These are things I won’t ever know, so I’m content to have learned as much as I did because even this makes me feel closer to these people whose lives were so different to mine, but whose genes and life circumstances contributed in some way to the person that I am. Pitgorno House, home of the Christie family, Strathmiglo, Fife. It’s likely my 3x great grandfather David Skinner Ramsay worked for the family in the 1840s. Photo credit: Christieancestors. I’m on a roll with the Ramsay family research, and today managed to decipher an odd address on an 1841 census return. I’m now fairly sure my 3x great grandparents lived in a cottage on this farm, and would have known the outside of “the big hoose” if not the interior. When things aren’t quite what they seem … the pauper daughter of a colonial administrator? About three months ago I received a comment on this blog, suggesting information about my Ramsay and Low ancestors. 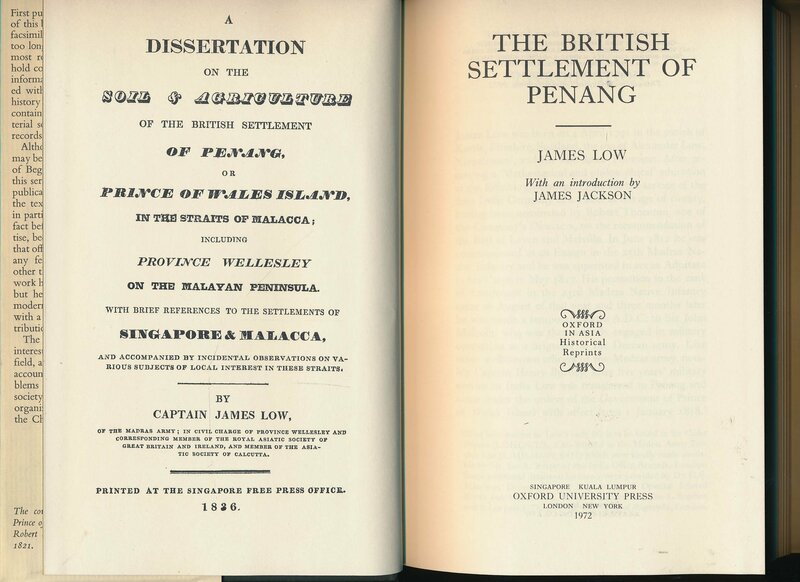 It came from a man who is researching the Governors of Penang, Malaysia, and who pointed me to a family tree that showed Helen Low – my 3x great grandmother – to be a daughter of a Captain James Low, who had quite a distinguished career in the British Army in South East Asia. Naturally, I Googled James Low and discovered quite a lot about him. He was a career soldier who spent much of his life on the Malay Peninsula. 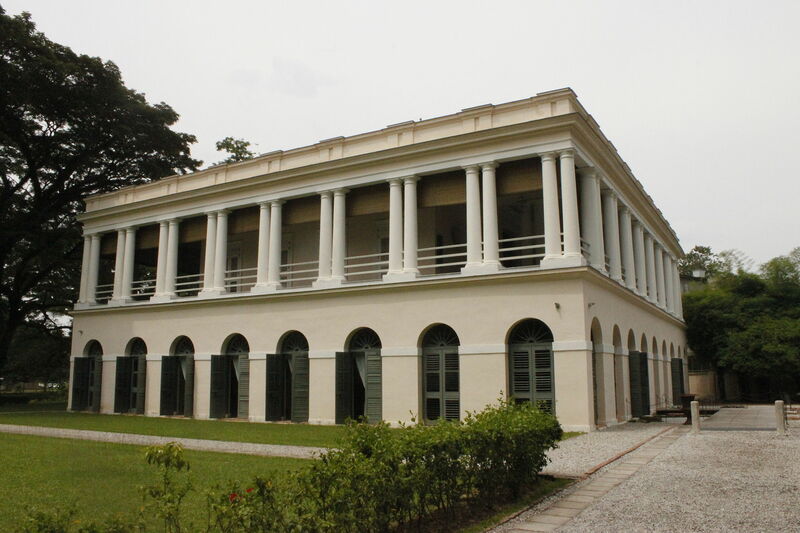 He was Acting Governor of Penang Island (then called Prince of Wales Island) in 1838, wrote a book called The British Settlement of Penang in 1836, and was the subject of another book Low’s mission to Southern Siam, 1824 (2007) edited by Anthony Farrington. He died in Portobello, Edinburgh in 1852. The family tree I was sent was quite comprehensive, although inaccurate as regards members of my more immediate family. Part of me wanted to say “hey, cool; I have an ancestor who has left a real trace in the historical record, let’s get researching”, but I was also slightly dubious. My doubt was caused mainly by the fact that I knew Helen Low died in the Poorhouse, and that didn’t seem quite right for the daughter of a high ranking military man. It turns out I was right to have doubts. While the family tree information I was given is more or less correct for Helen Low’s marriage and children, and as it turns out, the names of her parents – it seems that the James Low who was my 4x great grandfather wasn’t the same man who lived in Malaysia. I’m learning that one of the best ways to trace a life is by starting with death – at least deaths that occurred after the introduction of statutory record-keeping. In Scotland, this was in 1855. She was the widow of David Skinner Ramsay, a carter. She died on 7 May 1887 at the Dysart Combination Poorhouse, in Markinch, Fife, aged 71. Her death was reported by David Campbell, Governor of the Poorhouse. Importantly, it also tells me that Helen’s parents’ names were James Low and Elspeth Robertson, and that both were deceased at the time of her death. James’ occupation on the form was given as Joiner. From this it would seem that Helen Low was born in 1816 (or thereabouts – for ages are notoriously inaccurate on 19th century records). Given Helen’s age it seemed likely that her marriage to David Ramsay had taken place before statutory records. OPR (old parish records) provide a lot less information than the later statutory records, and I couldn’t be sure where the couple had married, so I used census records to build up a picture of Helen’s life. 1881: 298 Rosslyn Street, Gallatown, Fife. Household consisted of Helen, 67, outside worker, two unmarried adult children; Elizabeth, 40, factory worker and Peter, 20, carter, as well as two grandchildren; James, 15, labourer linoleum factory, and Robina, 8, scholar. Helen’s place of birth was given as Kettle, Fife. 1871: Kirky Road, Dysart, Fife. Household consisted of David Ramsay, aged 53 a carter, born Dysart; Helen, aged 56, born Kettle, Fife; daughter Elizabeth, aged 30, unmarried, an outdoor worker born Strathmiglo, Fife; son Peter, 10, scholar, born Dysart; and James, aged 5, a grandson born Dysart. 1861: Glenfoot, Abernethy, Perth. Household consisted of David Ramsay aged 43, Grain Agent, born Kirkcaldy, Fife; Helen aged 45 born Kettle, Fife; daughter Elizabeth aged 20 agricultural labourer, born Kettle, Fife; daughter Jane aged 17, agricultural labourer, born Strathmiglo, Fife; son John aged 6, born Abernethy, Perth; and son Peter aged 3 months, born Abernethy, Perth. 1851: Fargs Mill, Abernethy, Perth. Household consisted of David Ramsay, aged 34, Master Miller, one employee, born Dysart, Fife; Helen, 36, born Kettle, Fife; son James, 14, scholar, born Strathmiglo, Fife; daughter Elizabeth, 10, scholar, born Strathmiglo; son David, scholar, born Strathmiglo; daughter Jean, 7, scholar, born Strathmiglo; son William, 4, born Strathmiglo; James Stewart, 17; servant; Helen Matthew, 17; servant. 1841: Pityomie, Strathmiglo, Fife. Household consisted of David (Rumsey in index) agricultural labourer, aged 20; Helen (Ellen in index), 20; James, 4, David, 2, Elizabeth, 3mth. From this information, I searched for a marriage record in the 1830s in Fife. 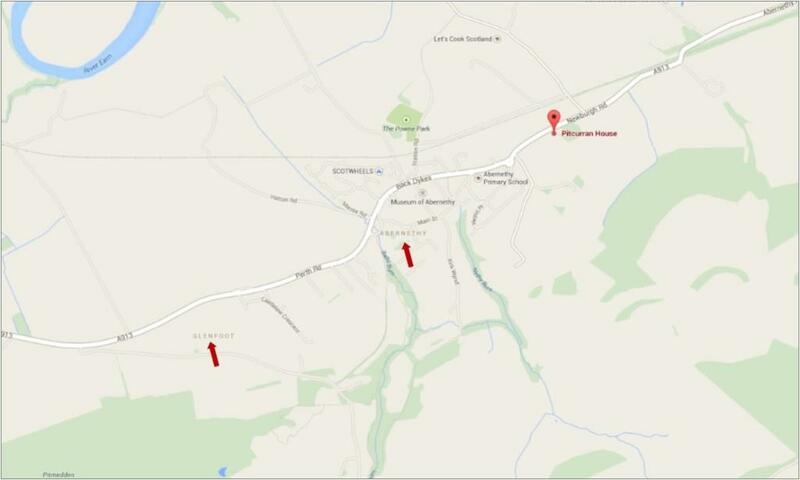 I found two – both in 1836, both for a Helen Low and David Skinner Ramsay and both in the district of Cupar, Fife. One was for 15 May 1836 in Collessie; the other 30 May 1836 in Strathmiglo. May 30 David Ramsay in the parish and Helen Low in the parish of Collessie were married. As it was unlikely there were two David Ramsays marrying two Helen Lows in the same month, I wondered whether the duplicate records meant that the marriage took place in Collessie on 15 May and was simply re-recorded in David’s parish church register two weeks later, or whether the couple had two ceremonies – one in each parish. Curious, I retrieved the Collessie record too – hopeful that if it was in Helen’s parish, it might name her parents. Sadly it didn’t. 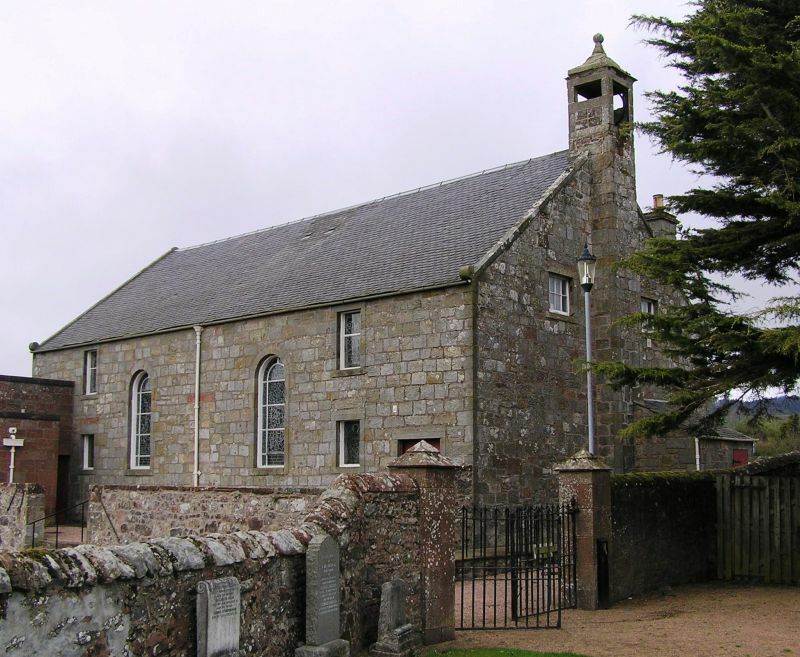 May 15 David Ramsay in the parish of Strathmiglo and Helen Low in this parish were married. Helen’s birthplace in the majority of census records was given as Kettle – which is about six miles from both Collessie and Strathmiglo. Putting all the information I had together, I looked for a birth record for Helen Low, in Fife; hypothesizing that it would probably be in one of the villages in the district of Cupar, between about 1815-1822 – parents James Low and Elspeth Robertson. I found a Helen Low, born in Kettle, Fife on 5 December 1814 to parents James Low and Elspet Robertson. Old Parish Register birth record; Helen Low, 1814. Source: Scotland’s People. December 5th was born Helen lawful daughter of James Low Wright in (I can’t read this, but it looks like Maltree) and of Elspet Robertson his wife and was baptised the 5th January. As I have only one source (Helen’s death record) which indicates parents’ names, I also looked for other children named Helen Low born in the area around the same time. I wasn’t able to find any others, so I’m fairly confident that this record is for the correct Helen. Old Parish Register marriage record: James Low and Elspet Robertson, 1811, Kettle, Fife. Source: Scotland’s People. James Low and Elspet Robertson seem to have had seven children together between their marriage in 1811 and 1825 – all of them born in Kettle, Fife. Since Captain Low was apparently exploring southern Siam (Thailand) at the time of the last birth, it would seem to rule him out as my ancestor. My next task is to find death records for James and Elspet, and perhaps census records (if they lived to 1841). These could help me find their birth records – although given that they lived in the late 18th and early 19th century, it is entirely likely that I won’t be able to find any definitive trace of them, at least not within the resources that are available on the internet. Perhaps I’ll have to add them to my long list of ancestors whose lives will either remain shrouded in mystery, or require another trip back to the UK!